Course Restriction Codes as they appear in the Schedule of Classes (SOC) are listed below. Questions regarding restriction codes placed on a course should be directed to the department offering the course. A prerequisite course(s) is required before enrolling in this course. Click on the Prerequisites link in the course title header bar to view the required prerequisite(s) for the course. If no Prerequisites link is provided, refer to our course prerequisite search tool. A 4-digit authorization code from the instructor or department is required in order to fulfill an add, drop, or change request via WebReg. A student may use the B restriction authorization code for multiple enrollment transactions (add, drop, and change) for the authorized course. Further information on B authorization codes can be found on our Course Authorization Codes webpage. A fee (in addition to registration fees) is required for students enrolled in this course. Fees are automatically billed to your ZOTAccount Online, typically at the end of the first week of instruction. Further information is available on the Central Cashier's website. This course offers only the Pass/Not Pass grading option. Only students within the freshman class level (0 through 44.9 units) are eligible for enrollment. Only students within the sophomore class level (45.0 through 89.9 units) are eligible for enrollment. Only students within the freshman and sophomore class levels (0 through 89.9 units) are eligible for enrollment. Only students within the Junior class level (90.0 through 134.9 units) are eligible for enrollment. Only students within the Senior class level (135 or more units) are eligible for enrollment. Only students within the junior and senior class levels (90 or more units) are eligible for enrollment. Only graduate students are eligible for enrollment. A specific major(s) has been authorized for enrollment in this course. Although this is usually the major associated with the department offering the course, it is not always the case. A department may authorize any major(s) they choose, which may or may not include the major associated with their department. Only students whose major is not under the department offering the course are eligible for enrollment. Majors within a specific school(s) have been authorized for enrollment in this course. Although this is usually the school under which the course is offered, it is not always the case. A school may authorize any school(s) they choose, which may or may not include the majors associated with their own school. This restriction code is not used for graduate courses. Only students whose major is not within the school offering the course are eligible for enrollment. This course offers only the Pass/Fail grading option and only applies to courses in the School of Medicine. This course offers only the Satisfactory/Unsatisfactory grading option. A unique 4-digit authorization code from the instructor or department is required in order to fulfill an add, drop, or change request via WebReg. A student may use the unique X restriction code for a single designated enrollment transaction. Further enrollment transactions will require the student to obtain an additional authorization code. Further information on X authorization codes can be found on our Course Authorization Codes webpage. New to UCI or forgot how to enroll in classes? Click through our PowerPoint for a quick reminder. Click on the WebReg link from the banner menu at the top of the page. Click on the Access WebReg link above the anteater image. This will direct you to the UCInetID Secure Web Login page. Enter your UCInetID and password. Upon successful login, you will see the WebReg main menu at the top of the page. The schedule of classes is available at WebSOC. You can view past quarter schedules to get an idea of when classes are offered. 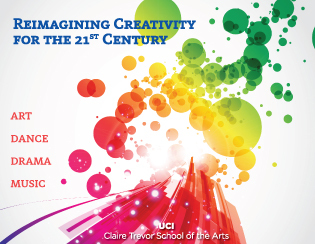 To register for summer clases at UCI, visit Summer Session. Make sure to check with Financial Aid for any summer financial aid questions. Registration for Summer classes is done through the Summer Session website, not WebReg.